PAM: Hi everyone I am Pam Laricchia from livingjoyfully.ca and today I am here with Erin Human. Hi, Erin! PAM: Erin is an unschooling mom who also draws comics, info graphics and neurodiversity themed designs. 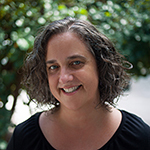 She is the art director for Autism Woman’s Network and co-founding director of Autistic Families International. I have really, really enjoyed reading around her website and I am so excited she agreed to chat with me. Yay! ERIN: Thanks for having me. ERIN: Sure. I am married; my husband is Mike and we have two kids. We live in Omaha, Nebraska and we moved out here a little over a decade ago. We had met in Boston and we were looking for somewhere more affordable and family-friendly. We really like it here in Omaha, it’s a really good place to raise a family and a good place to be a homeschooling family. My husband is a truck driver and he has a local route, so he is home normal working hours. He is not gone a lot. I have done a few different things over the years. I have done illustration, house painting, right now I mostly do the volunteer work that you had mentioned with Autism Woman’s Network and a little bit of my own blogging and design. 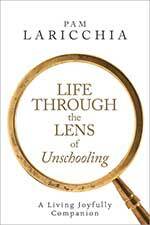 I am definitely curious how you discovered unschooling and what your family’s move to unschooling looked like. ERIN: Yes, I would say it was not sort of a straight-forward, linear progression. It was a lot of different things kind of all pointed in the same direction, around the same time. 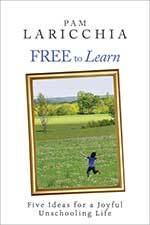 You know, before we had kids I never really thought about homeschooling or certainly not unschooling. I just kind of figured we would do the usual thing that everyone else did and send them to public school, kindergarten. When my first child (our older child) was really young—especially in the toddler years—we just sort of naturally moved toward peaceful parenting; sort of that style of parenting. Even unschooling style of parenting, where it was more about paying attention to his needs and building a trusting relationship with him. So, it just seemed to make sense to us to interact with him in that way. Later, we did actually send him to a year of preschool around age three just to try it out. It was not terrible, but he did not seem that engaged with what they were doing. 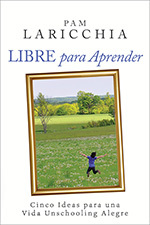 Around the same time, I happened to find a book called Free To Learn by Peter Gray. It was almost by chance, I was browsing at the library. I just saw it and it looked interesting, so, I took it home and read it. It was sort of a revelation, but also just made sense. Everything that he was talking about, which was basically that children are designed to learn and that is what they are built to do, and we do not need to teach children to learn. That is naturally what they do all the time. It just all made sense to me. It was like, “Of course,” you know? Anybody with a baby or toddler can see them doing that constantly. He also was talking about how traditional schooling tends to squelch natural curiosity—once kids start to get the idea that there is a right and wrong way to do things, they shy away from exploring. 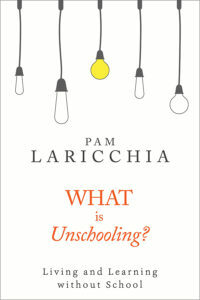 PAM: How did you find unschooling? I cannot remember if he mentions unschooling specifically in the book. Is that how you heard about it? ERIN: He does, actually, but I think from there I also went on to read John Holt. Then I was on Facebook and on-line looking at different alternative education groups and hanging out in some of the Facebook groups. I just continued to be curious about that and learn more about it. PAM: That is so cool, I love that story of how you were seeing with your son, unfolding exactly what you were reading about. ERIN: Yes. It just all kind of happened together. PAM: So, he just did not go back after that year ended? ERIN: Well, you know, we kind of we were still on the fence when the next school year rolled around when he was four and we actually tried it again, one more preschool a different one. The very first day it went poorly. I think that was the little bit of the push that my husband and I both needed to feel more sure of our convictions about this; that we did not want to do that. PAM: Because it is so different. It’s a big leap at first, isn’t it? You have a great post on your blog about your autism diagnosis and I was hoping you could share with us a bit about that journey? I usually like to mention that it is fairly common these days for parents of autistic children after they recognize that their kids are autistic and they start to see similar traits in themselves or their spouse. They will go on to get a diagnosis. That is not exactly how it happened for me but I think that way is a little more common so it is worth throwing out their in case someone sees them self in that. But, for me, I did not quite connect the dots in that way for awhile, even though I had that experience. Even after I knew one of my kids was autistic, I would see traits that were similar between us or things he did just made sense to me even though they were supposedly atypical. But I still did not quite put it together. I think that I just did not know any autistic adults at the time, so it did not occur to me. Then another sort of chance occurrence was a friend of mine posted or shared on Facebook a blog post about dealing with sensory issues during changes of seasons. It was fall at the time, and it was something I was going through as well, but I has never heard anyone describe it. As far as, ‘all your clothes feel uncomfortable even though they are just last year’s clothes that fit fine.’ ‘Having trouble regulating body temperature.’ So, I clicked through to the blog and it was Musings of an Aspie, written by an autistic woman. I read more and more through the blog and I recognized myself in a way that I had never done before. So, from there, again, I just did the thing that I do: continuing to learn everything I could. There are so many blogs by autistic adults out there that are wonderful and helpful. I started a little Facebook group for people like me who are exploring that question of whether they might be autistic. Then after six or eight months I did get a professional autism diagnosis through a psychologist in my area. I think that at the time it felt important for me to get that diagnosis. It is not really necessary. There are pros and cons to doing that. If I had done it all over again I might not actually go that route. Could you share a little bit about the pros and cons that you found about going through the diagnosis? ERIN: Sure. I think at the time, one of the motivations for me was to sort of validate what I pretty much already knew. To validate that in the eyes of other people, friends, family. I thought if I had that professional stamp of approval, it would lend more legitimacy. I have to say that maybe it helped a little, but I am not sure it was that important. Because I found if people believe you, they don’t need that. And if they are not going to believe it for any reason—sometimes they just are uncomfortable, or they maybe are also on the spectrum and do not like to think about it—the professional diagnosis really is not going to sway them all that much either. You know, it can be helpful, especially for people who are still in school or work outside the home, it might help you get some accommodations. It is expensive and it is an ordeal and if it’s not necessary, it may not do that much for you, really. I think it is important for people to know that it is perfectly valid—people call it self-diagnosing, but even that sort of medical language—if you identify yourself in that autistic neurotype, most people who do that have gone through so much reading and research and talking to other autistic people, that’s a valid way to go about it too. PAM: You were talking too about how there is a lot of blogs written by autistic adults and you know when you are, I mean I went to Musings of an Aspie and I really enjoyed reading some of her posts as well. I think you are right in that if you are feeling validated, you are feeling connection, and you are maybe talking about certain situations and maybe tips and maybe things that help them in different ways, you can pick up all sorts of tools and just maybe a sense of community, without needing the diagnosis, right? PAM: Then the diagnosis, like you said, would be helpful in more formal settings like school or work if you need accommodations. I’m just wondering if people might feel, ‘Oh, I shouldn’t be reading that, I shouldn’t be doing this research and be interested and curious about it,’ like you said you were. ‘I need to get the diagnosis first.’ But it doesn’t need to work that way. No one is checking your papers, you know. ERIN: You don’t need a professional stamp of approval to be part of the autistic community. No one is going to demand that of you. People do not tend to take on that identity who are not really pretty sure, that that is where they belong. PAM: And if you feel connection to the stories and you get useful information out of it, it really is irrelevant, right? It is helpful for you as a person. ERIN: I think everyone can relate to certain aspects of being autistic. It does not mean everyone is autistic, but we are all human beings, so we share some common experiences. You have a really interesting post about the language used around autism that I really wanted to chat with you a bit. Specifically around the word “disabled.” I was hoping you could talk about why you do not shy away from that word. I think one thing that I described in the post is what is described as a Social Model of Disability, which basically says that being disabled is not a set of deficits or a lack of certain skills. 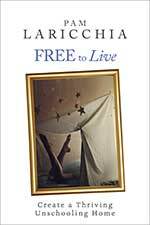 It is more about the way that you face certain [things], like a lack of access and accommodation in society. You are disabled by that lack of access more so than there being something wrong with you. I think that often when people hear the word disabled, they see it as inherently negative or a lesser than way of being. But disabled people don’t usually feel that way, so I encourage people to really listen to disabled people and how we feel about that label and that it is just a neutral description; the way that we live and the way that we are. The same goes for the word autistic. Often people will say, ‘people with autism’ are people who have autism, while most autistic people will just say that they are autistic and that’s because it’s not a bad word and it’s not the only thing about us. But it is something about us that is important and that we are not ashamed of or embarrassed of. PAM: Yes. It reminds me of the conversation around like with my son who has type one diabetes the conversation around are you a ‘person with diabetes’ or diabetic. It’s just like you said, it is a part of who they are. It is not something to fear’ but it does make other people uncomfortable’ doesn’t it? PAM: They are uncomfortable what terms to use—they just kind of want to ignore it for a little bit. That is okay because everybody is uncomfortable with new things sometimes, and that is alright. The important thing is really just to listen to disabled people and if they say, ‘I prefer if you use the word autistic,’ then just go with it. 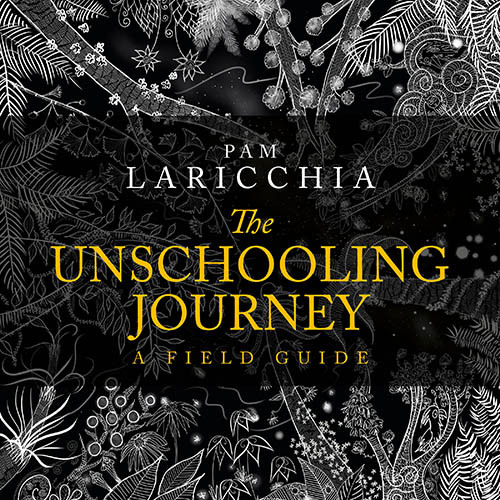 PAM: That is something that I think shines with unschooling. You know because we are focused on supporting the individual and understanding, trusting, and meeting their needs, and accepting their needs and their wants as important and valuable, and just doing them. So, however they want you to engage with them or what terminology they want or whatever it is. You are just doing it because you know they are a whole person and they know best for themselves. 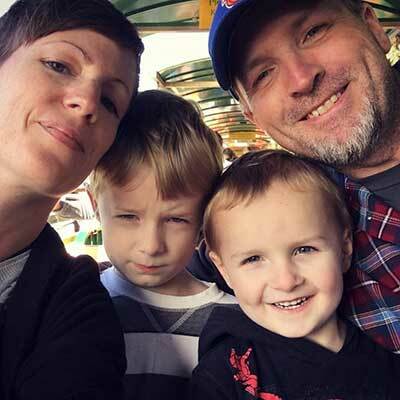 ERIN: I do think that sometimes in unschooling communities I see that people are uncomfortable with some language around disability or with diagnosis things, like labels. But I would also encourage unschoolers to realize that you can take these concepts out of that medical model and that saying someone is autistic, it does not have to be a way to pathologize them. It can also just be a way to describe something that they feel is important about themselves. It is hard to describe. I think that if unschoolers can remove some of the language around disabilities away from that negative medical model, they can embrace those labels. PAM: Yes, I think that is such a great point, that medical model. Because so often when people are worried about labels and diagnosis it’s because they are bringing that whole medical package. They are not picking that apart. They are like, ‘Oh well, then that means if I have this diagnosis I have follow X, Y, Z pattern.’ You do not have to. Pretty regularly I see questions like, “Will unschooling work for my autistic child?” as they are trying to learn more about it. I’m really curious how you answer that question and what some of the benefits of unschooling that you see for autistic children. 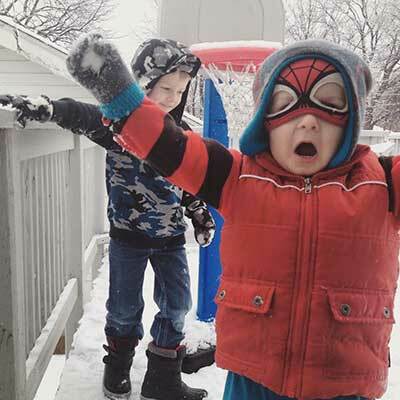 ERIN: Yes, I actually think that autistic children are a perfect fit for unschooling. I really see the foundation of unschooling as being that relationship of mutual trust and respect between parents and children. I think that is really the bedrock of unschooling, and that is the way that autistic children really thrive is to have that relationship with their parents where you trust that your child’s unique perceptions are valid and that their unique way of being is a valid way to be. It really goes very well with unschooling and raising your autistic child with just respect and love and trust that they do not need to be fixed or they do not need to be taught to learn. 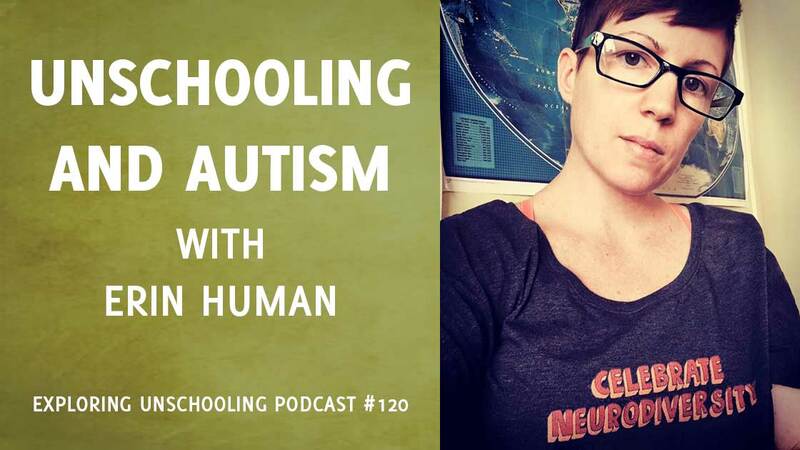 Another thing that is a really nice fit with unschooling is, most autistic people, we like to take a really deep dive into whatever our interest is. Sometimes those interests are lifelong and sometimes they are just for a period of time. We love to go really deep into that and that’s something that more traditional schooling methods often do not allow for because now it is time for science and in forty minutes you will have to switch to math. 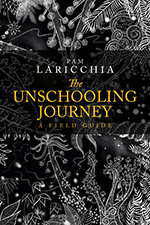 With unschooling, you can allow your autistic child to go all the way in. That is such a beautiful thing to see. I think it build upon the natural strengths of autistic kids. PAM: I love that answer. PAM: I know, right? It fits so perfectly, I am going to highlight that on the transcripts. 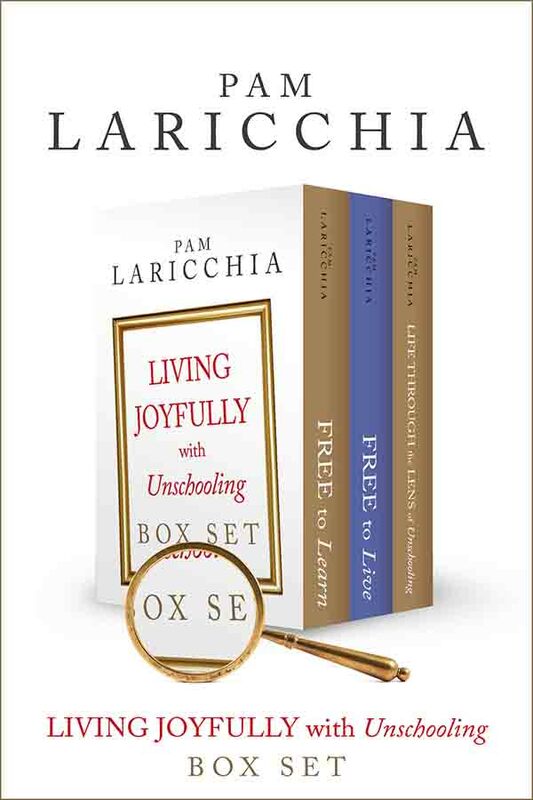 PAM: I was curious as well, as an unschooling mom with autism—I saw this on your blog and I thought it was a great connection. I was hoping you could share some of the day-to-day supports that you felt helpful. Why I love that is because again, we are talking about the individual, right? We are back there again. Each of us find tools that help us do the things that we want to do day in and day out so I was hoping you could talk a little bit about that. So, that was about sort of the daily supports that I use, and I think again that is something unschoolers do all the time: balance the needs of everybody in the family without control. You just try to find balance, and everybody who unschools knows sometimes you get a little more balanced than other times. 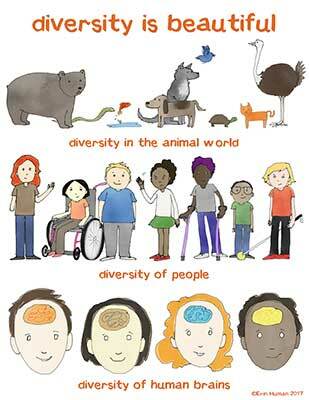 But conflicting sensory needs are common in neuro-diverse families. So, for example, one of my kids likes a lot of background noise. For him, it just makes him feel settled and helps him focus; makes him feel good. While for me, background noise is actually pretty difficult—it scatters my thoughts and makes me a little bit tense. I use a lot of ear protection. I have written about my noise cancelling headphones. Lately, I use the earbuds a little more because they are just easier to just pop in and out, but people have different preferences for that stuff. That is just one example of, I think, a pretty common conflict. Also, one of the really important things in our family is building in a lot of down time and I would say probably quite a bit more than a typical unschooling family might have. In some of my unschooling groups, people talk about going on an outing everyday or five days a week. We could never do that. We would not enjoy it. We would be stressed out and over stimulated. So, we stay home a lot and that is okay it works or us. Again, like anybody else in unschooling, we do not elevate the value of outings as being better than down time. Because for us, downtime is so needed. That is a big one for us. PAM: When you are working together as a family to meet everybody’s needs you discover what your needs are, right? ERIN: Right. And some of us adults who did not grow up that way, it can be really hard for us to figure out that stuff and so it’s great that our kids can learn this now because that is going to serve them for the rest of their lives. ERIN: It is really useful. PAM: Did you have another one you wanted to share? Because I feel like I interrupted you there. ERIN: Oh no, sometimes I am pausing to look at my notes. You know the other thing I will just throw in there is, I don’t know, it is kind of personal, but I blogged about it, so, I also take an ADD medication which again I know some people feel uncomfortable with that kind of medical stuff, but I see it as just a support that helps me. I need a little bit of extra support with focus and keeping up my energy to keep up with the kids and stuff like that. So, that has been really great for me. I hope that people will not be too afraid to go out and get that if they need it. It does not change who you are, and it does not mean that you are not good enough. It just another support like headphones or anything else, hearing aids, that people need to do life the way they want to do it. PAM: I love that, that is such a great point. It is another support. It is something again you know that you need, or you do not need; try it out and see if it helps you, as an individual. One other question that I wanted to ask you, was about ideas about ways that unschooling groups can be more welcoming to autistic children. In your experience, I was hoping you could share some tips and tricks for that. ERIN: Yes. I would say, I know that you talked to Heather Lake, I listened to your episode and she is actually local to me. 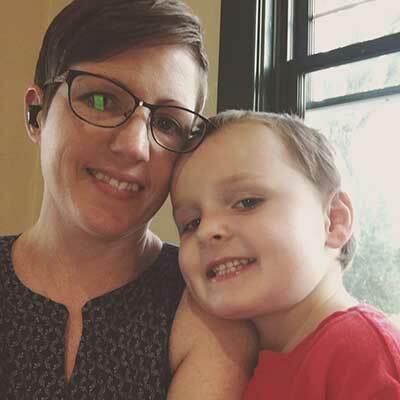 She runs and unschooling group in my area and she has been so great with just asking me, not just once, but whenever it seems necessary, “How can we make this event more accessible to you?” If you haven’t been coming or if you want to come, but you are not sure. Which is so wonderful because sometimes it is very hard to put yourself out there. If you have a disability, or your kids do, and you don’t want to feel like a complainer, you know? So, for people in leadership positions to reach out locally and say, “Hey, if you want to be part of this, what can we do to that would make it better for you?” Because it will not be the same for everybody, so, that is a great thing to do. Also, I often just wish that unschooling families—but really, all families—would just talk about disability more. Unschoolers have such wonderful curiosity and openness to new things that I would say, just bring that to this subject of disability. Like I mentioned, there are so many great blogs, YouTube channels, podcasts. And don’t be afraid to do it wrong. This is the strength of unschoolers, is that you are willing to go on a journey. It’s okay to ask questions, it’s okay to say the wrong thing, as long as you’re willing to learn a better way. We disabled people are not embarrassed of ourselves, so come with us and you get over your discomfort with the unfamiliar by learning more about it. I guess, just talk about it, learn about it. It will be so helpful, I think. PAM: Well that is awesome. Yes, just be curious. Be your curious self, right? ERIN: Absolutely. And share it with your kids too, because kids are not sure either how to interact with someone who does not socialize in the same way as them, or something like that. When sometimes adults are very uncomfortable around disability, kids pick up on that. They are not really sure why, they are just like, ‘Something here is really uncomfortable.’ That is a thing to move past. PAM: Yes, I love that. It just comes down to engaging and I guess just you know as parents to take that one-step past that uncomfortableness. It’s like our comfort zones, right? Just stretch your comfort zone a little bit and, like you said, strike up a conversation, ask a question. When you are engaging with them and chatting with them, you learn more and you get more comfortable. Your comfort zone stretches, and it is incredibly worth it. Not only for the parents, but for the kids too. ERIN: Yes, it is. I have to say again about our local group that we have found that the group is really welcoming. We cannot do all the activities and that is okay. I have found that the families who really are open minded and curious in that way, they are pretty easy to be around. And that is so nice, and I am pretty grateful for that. Thanks so much for taking the time to speak with me today, Erin. I really appreciate it and had so much fun speaking with you! ERIN: Oh, thank you. I was so nervous, but this was really cool. PAM: I’m really glad you enjoyed it. Before we go, where is the best place for people to connect with you online? ERIN: My blog is just ErinHuman.com I have a Facebook page for the blog and I’m also on Twitter, @EisforErin. You can also see some of the stuff that I do on the Autism Women’s Facebook page, which is a great page I highly recommend people follow as well. PAM: Awesome and I highly recommend people check out Erin’s website, I just love it, and ErinHuman.com it is an awesome name. PAM: Thank you so much, and have an awesome day! ERIN: Alright, you too, thanks.